Do you want to write a book? Then you need to know the one, really important (and guilty) secret that will help you get published. Brace yourself. Here it comes … You need to read. A lot. I was appalled when I read this statistic: Stat: Eighty percent of Americans want to write a book, but only fifty-seven percent have read one in the past year. How is this possible? If you don’t read, how will you be able to write a book? How will you know story structure? How will you understand the character archetypes? How will you discover what moves a reader to laughter, to tears, to love, if you don’t take that journey yourself? In grade school, I was one of those snot-nosed kids who learned to read quickly and never stopped. (Whenever I say this, a lot of my readers wave their hands and say, “I was a snot-nosed kid, too!” Yes, us readers hang together.) I read indiscriminately all the way through high school — classics, Harlequin romances, Broadway plays, the Little House books, you name it. I would steal the time from homework and TV and friends, and spend the time reading. (I did not have to steal the time from sports — I was also one of those snot-nosed kids with glasses and braces, and I ducked when a baseball came at my face.) Like everyone else in the world, I grew up and life interfered (work, husband, children.) I had to pare down the time I could spend reading, so I concentrated on what I loved best, which was romance: historical and contemporary, first person or third person, suspense or paranormal. As long as the plot appealed to me, I didn’t care when or where it was set, I’d read it. Eventually all this romance reading gave me a brilliant idea. I thought, “I can write a book! How hard could it be?” thus proving I had two of the attributes of a writer — a large ego and very little sense of reality. Actually what all those years of reading gave me a natural sense of how plot, characterization, motivation and conflict work together to create a story. Reading taught me to write in a way no writing lessons or writing books could do. I wrote for ten years before I got published, and during that time reading got to be guilty pleasure. It was tough to justify the time spent reading when I should be working on a writing a book in the hopes of someday grabbing the gold ring — or at least the signed check. But not only did reading teach me how to write, I found that putting words in fed the flow of words out. It seemed that reading fed the creative well and if I didn’t read, I’d find myself staring at a blank computer screen with no idea how to fill it. Finally, after ten years of trying, I got The Call and my first book was published. 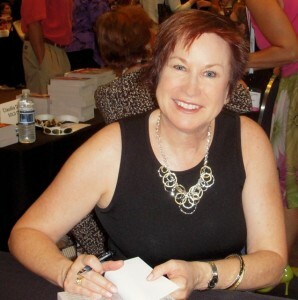 Being a published author includes demands on my time I’d never imagined: publicity and email and blogging and touring, things I’m thrilled to do because they mean I’m a popular author. But my reading time has been seriously compromised and that breaks my heart. 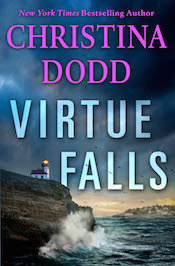 Writing fills some of that void; VIRTUE FALLS is my fiftieth full-length novel, and as I wrote it, I gasped in fear, laughed with my characters, suffered and hoped, struggled and fell in love again. But while writing is the best job in the world, it’s still a job. I work fifty weeks a year, writing 1000-2000 words a day. Sometimes that takes me three hours. Sometimes that takes me ten. And if I’m hot, I don’t stop at 2000, I keep going. I deal with promotion every day, and when I have a new book out, the hours are longer and sometimes involve tours, live chats and autographings. Reading a book immerses me in exotic worlds and different sensibilities. For me, a book is a vacation from real life. So there’s the secret to writing a book: Read to learn the basics of pacing and plotting and what’s involving in creating a successful suspense. Read to learn how to craft a character arc that takes your heroine from downtrodden maiden to triumphant woman. Immerse yourself in the kinds of stories you want to write — and then put your rear in the chair and write them. So if you want to write a book, think — how many books have you read in the last year?